Early cut-off discount has expired; however, you can call or email Danae Kaupp to make your room reservation and receive the group rate. April 10th & April 11th are currently sold out! All guest rooms include complimentary Wi-Fi. 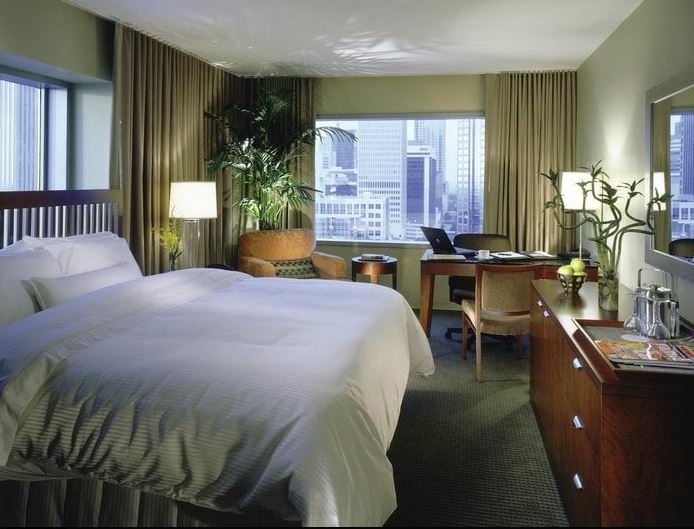 Taxi – Approximately $25 from the airport to The Westin Charlotte. Charlotte-Douglas International Airport is approximately 11.75 km/7.3 miles from The Westin Charlotte. Railway – Amtrak is located just a mile from The Westin Charlotte. Bus – Greyhound Bus Station is only a mile from The Westin Charlotte. Chauffer – Rose Chauffeured Transportation provides a day or night Town Car service, eliminating the worry of waiting for a cab. The driver will meet the guest with a name placard inside the airport. The cost is approximately $80, all inclusive from the airport to the hotel. CLT is an American Airlines hub, providing many direct flights to and from Charlotte. LYNX Light Rail – Running from the northern edge of the city to the southern-most tip of Charlotte, the Light Rail is a great way to get around. The hotel’s direct connection to Stonewall Station allows guests to access the EpiCentre or Spectrum Arena, great shopping, and other parts of Charlotte with ease. Gold Rush Trolley – The Gold Rush is a trolley service that travels east to west on the city’s main thoroughfare, Tryon Street, making coming to and from Uptown a delight. The stops are clearly marked by signage on the sidewalks.